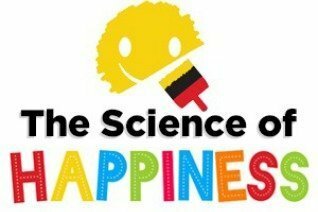 POSITIVE PSYCHOLOGY is the study of the emotions and strengths that help you and others to thrive. It’s based on the belief we want to live meaningful and fulfilling lives and grow what is best within ourselves to improve our love, work, and play. We all want to be happy. ( www.pursuit-of-happiness.com) According to Martin Seligman, the pioneer of Positive Psychology (http://ppc.sas.upenn.edu) you must use your own special strengths and virtues in service of something larger than yourself. There are THREE DIMENSIONS OF HAPPINESS. THE PLEASANT LIFE or THE LIFE OF ENJOYMENT. You find this when you discover your unique virtues and strengths and find ways to use them creatively. You feel self esteem and self worth when you discover value in yourself. Happiness comes when you use your strengths to contribute to the happiness of others. Meaning can come when you seek a greater purpose than yourself. As much as you must take care of yourself, you must sacrifice for a greater purpose. You don’t have to change the world, but can start with focusing on what is right in front of you. PERMA THEORY can help you remember some of these ideas as you seek happiness.. Take one letter at a time on your happiness journey!! When do you feel pride and excitement? What activities draw you in and build your interest? Other people matter– Where and how do you connect with others at work, in your family, friends or romance? It is hard to try and answer the WHY questions but seeking to find something greater than yourself is a way to try . I hope this will help you begin to think about how you can find some HAPPINESS for both you and others.